White canopies draped with burlap cloth, dozens of farmers standing by proud displays of produce, and people in sunhats smiling wide and admiring brightly colored fruits and vegetables; welcome to the third annual Let’s Go Local! Produce Showcase! 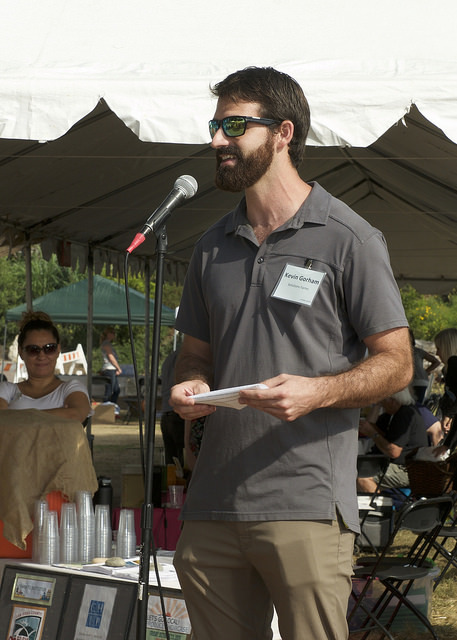 This year’s Showcase, held on October 23, 2015 at the Leichtag Foundation Ranch in Encinitas, was a huge success! Over 200 attendees representing more than 40 produce-purchasing institutions and over 50 community partners attended the event to meet an impressive array of nearly 50 Let’s Go Local! exhibitors. The exhibitors included 37 local farms and food producers, 3 produce distributors, and 8 educational partners. Buyers attended to increase their purchasing of local, healthy food, producers displayed beautiful tables to attract future buyers, and community partners engaged attendees in the many local efforts to create a healthy, sustainable, and just food system. The Let’s Go Local! 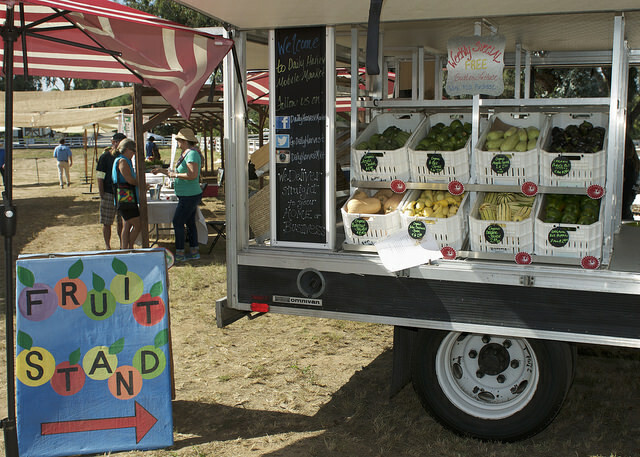 Produce Showcase is the cornerstone event in CHIP’s work to grow the local food economy. CHIP does this by helping large institutional buyers connect with growers of fresh, healthy, local produce and other sustainable food producers. By fostering the market in which these buyers and sellers interact, CHIP sets the stage for profitable and sustainable business relationships that help grow a healthy community, economy, and food system. Let’s go Local! is a unique opportunity for these buyers and sellers to meet face-to-face to explore potential business relationships and community partnerships. This event and the many others like it happening around the country are all part of a national movement to create a food system that is more socially just and environmentally sustainable. Individuals and institutions are increasingly choosing to buy more of their food direct from local producers, citing freshness, support for the local economy, taste, and the desire to know where their food comes from as primary motivations (Food Marketing Institute, 2014). According to a recent study by USDA’s Economic Research Service, direct-to-consumer (DTC) sales in the U.S. topped $6.1 billion in 2012 with a 32% growth in total DTC sales between 2002 and 2007. The report also recognizes a similar trend within institutions, with 6% of hospitals now having adopted a policy to buy more local or sustainable food, and 4 in 10 school districts now engaging in farm-to-school activities. The good food movement includes, in fact it necessitates, a shift in how and why we buy our food. The Let’s Go Local! 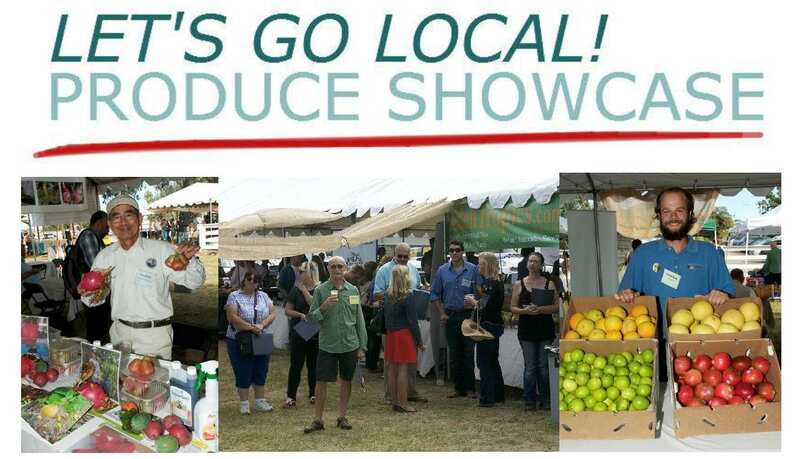 Produce Showcase is a shining example of this transformation occurring in San Diego County. This year’s Showcase was held in conjunction with Food Day, which unites thousands of organizations across the Country with a similar vision of food that is healthy, affordable, and produced with care. 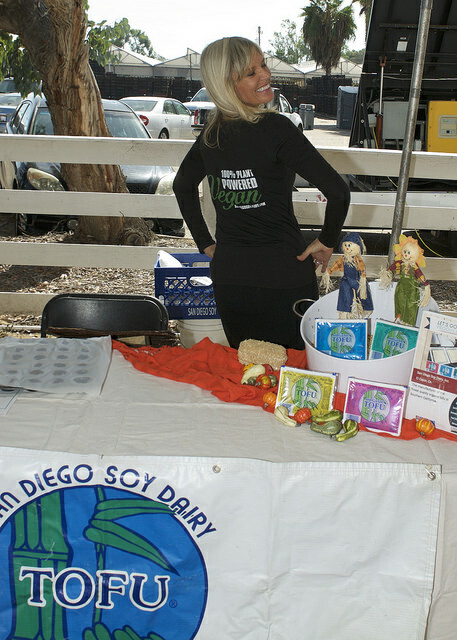 In collaboration with the San Diego Food Systems Alliance, this event also used leading waste reduction and recovery practices. The event used waste sorting stations for recyclables, compost, and trash. All salvageable produce from vendors was donated to our socially entrepreneurial caterer, Kitchens for Good, and any remaining organic waste went to feed animals or was integrated into Leichtag’s compost systems. Our 6-month follow-up survey on the effectiveness of last year’s 2014 Let’s Go Local! event found that one in four participating exhibitors gained to new clients or increased sales to existing clients due to Let’s Go Local!, so we are hoping for as good if not better results from the 2015 event. CHIP will assess the results of the event in 2016 with a six-month follow-up survey, so stay tuned! Thanks immensely to those who attended or exhibited at the 2015 Let’s Go Local! Produce Showcase. An impressive array of dynamic organizations, businesses, and individuals continue to advance the shared goal of a creating a food system that contributes to a healthy community, economy, and environment. We are in this together. Now, onward! Click here to see more pictures of the Showcase.